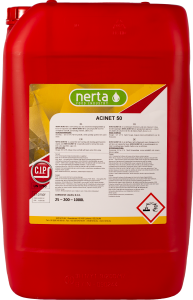 NERTA LACTIBAC is a general disinfectant active against a broad spectrum of micro-organisms based on lactic acid. 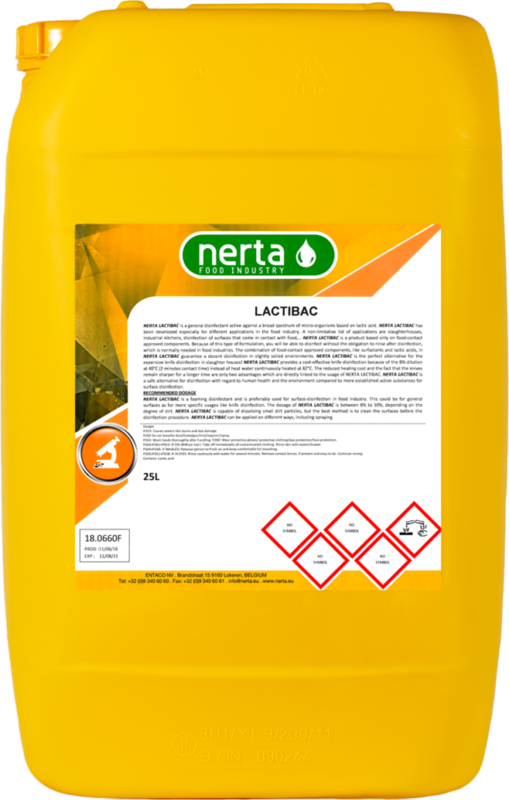 LACTIBAC has been developed especially for different applications in the food industry. 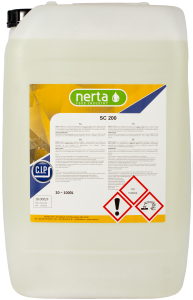 A non-limitative list of applications are slaughterhouses, industrial kitchens, disinfection of surfaces that come in contact with food, etc. LACTIBAC is a product based only on food-contact approved components. Thanks to this type of formulation, you will be able to disinfect without the obligation to rinse after disinfection. The combination of food-contact approved components guarantees a decent disinfection in slightly soiled environments. This formula is the perfect alternative for the expensive knife disinfection in slaughter houses.